Wish Films selected King Bee Animation to produce 2 fully animated episodes for the innovative new pre-school Series ‘Melody’. The series is about a partially sighted girl ‘Melody’ and her soft toy cat ‘Fudge’. Each episode Melody listens to a piece of famous music and is taken on a journey of her imagination to a world inspired by the Music. King Bee chose the ‘Elves and the Shoemaker’ episode and the ‘Snowman’ episodes due to their classical stories and warm emotional qualities. The styles were to be different for every episode, inspired by children’s book fairytales. One of the unique aspects of the project, is that the BBC are working alongside the RNIB to ensure all the animation works well for partially sighted children and follows a number of criteria to ensure this, such as high contrast, bold colour palettes, strong silhouettes, additional timing to process the scenes and more. 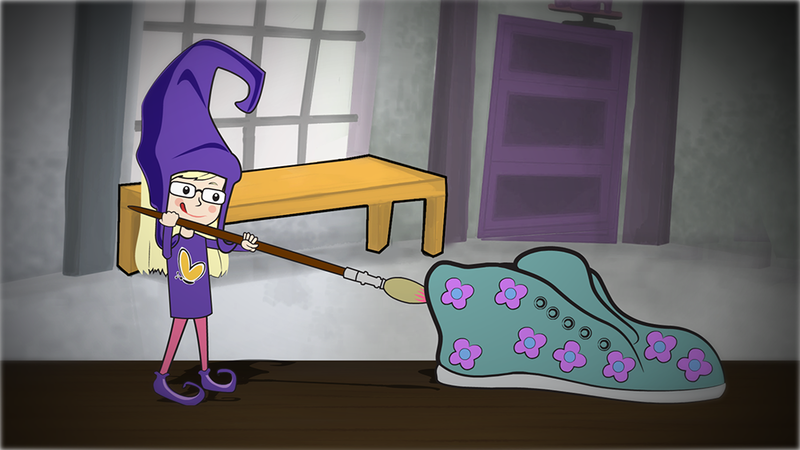 King Bee specialise in innovating original styles and chose an original and classically enchanted illustrated fairytale style for the Elves and the Shoemaker episode. We created a warm, textured illustration style to capture the woody warmth of the story mixed with colourful sparkles and neon moments for the magical elements to catch the eye. For the Snowman episode, on the other hand, we created a soft - almost crayon-like line for the style of the Snowman episode that works beautifully for the warm, cosy tone to this episode. King Bee were happy to see our 2 episodes being used in the Advert on Cbeebies that promotes the new series! The episodes air on TV from December 2nd 2013. All of the team at King Bee really enjoyed the whole process working on the Melody Series.